This will be an unusual post for me. I don’t remember the last time I reviewed a TV series. I may have done a post about Firefly years ago. I don’t watch a lot of TV, after all. Star Trek Continues, however, is not on TV. They are fan-made webisodes. So this is a first. I watched these webisodes by hooking my computer to the TV by means of an hdmi cable. That way, we were all able to enjoy it. Star Trek Continues is the brainchild of Vic Mignogna, who also plays Kirk. It is unabashed fan fiction. It seeks to continue Star Trek: the Original Series (TOS) as if it were never cancelled. That means being faithful to the original set, equipment, make-up and costumes. This means heavily made-up men and styles reminiscent of the 60s. Don’t expect amateur performances. These episodes are engaging and highly polished. It has attracted a lot of attention. Christopher Doohan–the son of the original Scotty–plays, well, Scotty. The guest starts include Lou Ferrigno (who plays a green-skinned Orion! ), Michael Dorn, and former Star Trek guest stars Michael Forest and Asia DeMarcos (who, I swear, has not aged. A day). Two of the episodes, the first and the third, continue (and conclude) stories that began in the original series. For those, I recommend watching the original TOS episodes first. The series features the same iconic characters–Kirk, Spock, McCoy, Scott, Uhuru, Sulu and Chekov. 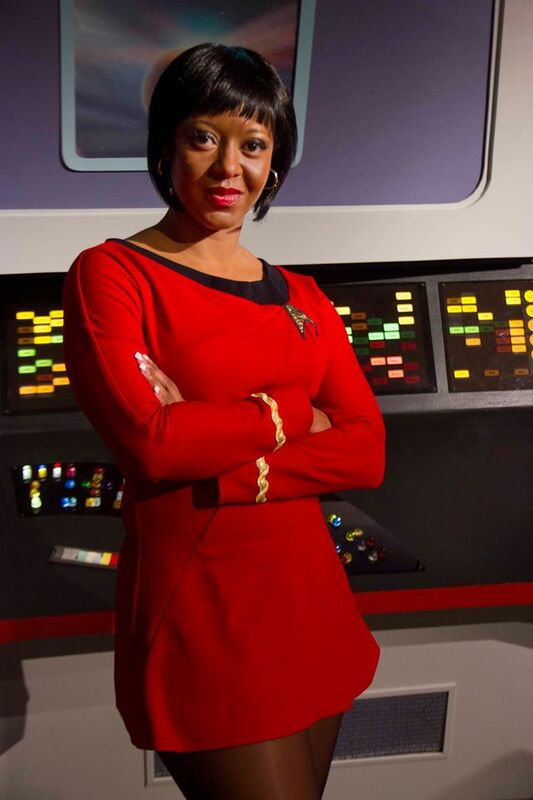 It adds a new cast member, McKennah, the ships counselor, pictured with Spock, at the left. The first episode, Pilgrim of Eternity, continues the Apollo episode, Who Mourns for Adonais? In it, Apollo is now an old man, played by the original actor. This is the only one that I think looks just a little rough. The makeup and the costumes improve greatly from this episode, so don’t let it put you off. The set, however, looks terrific, and the story is very faithful to the original. Including a godly wreaking of havoc. The second episode, Lolani, is, as far as I can tell, is an original story. It is about an Orion slave girl who wants to be free. Except there’s this problem of other sovereign states with their own laws, and a little thing called the Prime Directive. This is the Lou Ferrigno episode, and he doesn’t play a good guy. The third episode, Fairest of them All, is my favorite. It continues Mirror, Mirror from the last two minutes of the original story. In that story, Kirk–in one of those numerous transporter malfunctions–switched places with an evil Kirk from an alternate universe. This story follows Spock in that original story, as he attempts to effect change in the the Empire. And the fourth episode will be making its debut at the Phoenix Comicon. 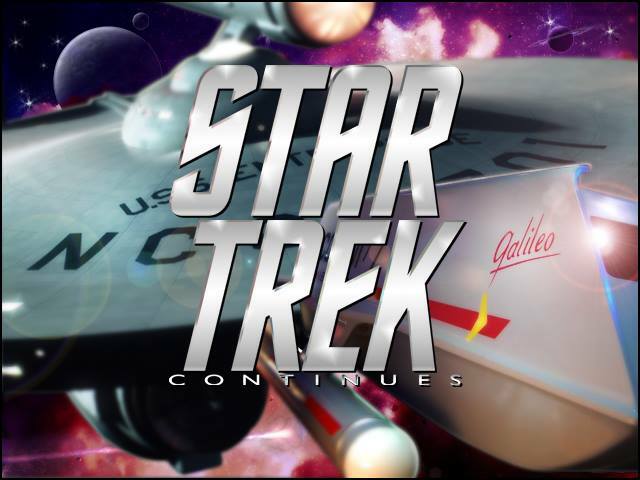 Star Trek Continues has been funded by Kickstarter campaigns. The current Kickstarter is in a Fully Funded status. I expect there will be future Kickstarters, as well. I really enjoyed the first three episodes, and am looking forward to the ones that are coming next. Michael Dorn is shown among the list of guest stars, so he must be coming up soon. To watch, go to the webside, www.startrekcontinues.com. Before you dive in, I recommend you play around a bit. There are a lot of short videos, including comparisons showing scenes that took place in both TOS and Star Trek Continues. I’ll be interested in your comments–did you watch them, or do you not care to see it? If not, why? If you watched them, what did you think? Eight Things I Edited For. So far. I have not seen the second Star Trek because the “Into Darkness” subtitle just didn’t work for me. Maybe I’ll see it one day … especially if one of you guys can recommend it. Cool! I’m a huge Trekkie from way back–I’ll have to check these out. I’ve only ever dabbled in Star Trek, I’m afraid. I’ve seen the first season of Enterprise, some of the Star Trek movies, and a scattering of various episodes on Hulu, but I didn’t grow up with Star Trek. I love the idea of Star Trek, especially knowing that the creators put so much work into the Klingon and Vulcan cultures that they actually worked out the languages (that’s just awesome!). I watched the first and third episode of this web-series. I skipped the middle one (with plans to go back to it eventually) because I was too excited to get to the third. Mirror Mirror is one of the few Original Series Star Treks that I’ve seen, and I wanted to know how they’d play with the ideas. It was a really good episode. Yes, I thought that episode was really great. When we watched it, we first watched Mirror, Mirror on Netflix. It was very cool how well the story progressed from the original to the new episode.